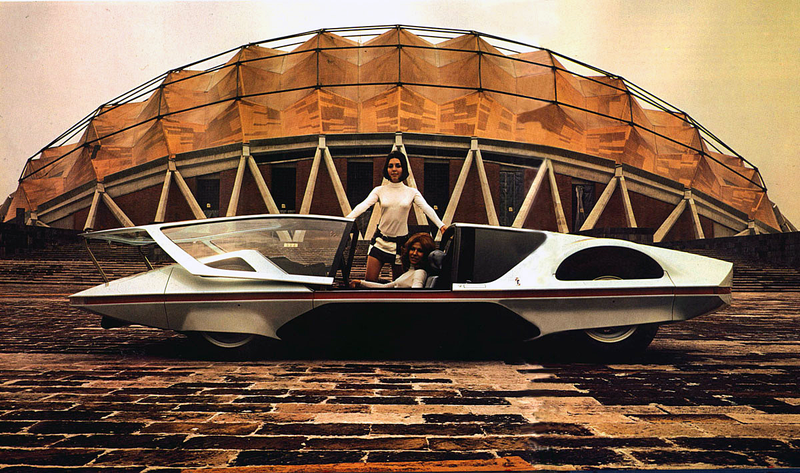 I remember when I first saw photos of the 1968 Ferrari S Modula Concept car, thinking it was the coolest looking car I had ever seen, and in many ways, I still love its amazing design. The Modula was so far ahead of its time, it is amazing. I think Ferrari, should bring this car to life today, and update it. In particular, I think if they ditched the pop-up headlights, and while moving them to the corners, it would look incredible! If you think about it, it would almost appear if the Lamborghini Countach which was launched in the early 1970s, was based upon the design of the 1968 Ferrari S Modulu. Particularly in the sense that the Ferrari has a long, swooping, continuous curve, which today is the trademark of modern Lamborghini.